Professional campus crime prevention training from NCPC for all who work in the college or university environment. Basic and advanced courses are available. McGruff (center) is joined by James McShane (Vice President for Public Safety at Columbia University, second from left) to welcome the members of the March 4-6, 2014 NCPC/IACLEA Campus Crime Prevention Officers course at Columbia University in New York City. The new curriculum has added units on emergency preparedness and threat assessment and has expanded the Crime Prevention Through Environmental Design (CPTED) module. The National Crime Prevention Council now has available for the campus/university community two trainings to help ensure the safety and security of its community. The NEW Advanced Campus Crime Prevention Course -- Making Your Campus Safer: Assessing Risks and Liabilities -- for campus administrators and executives and the Basic Campus Crime Prevention Course for front line campus personnel. Watch these NCPC YouTube videos to learn the best practices in campus safety and prevention from those in the field. Listen as the experts give advice and make recommendations on a wide variety of topics. This course addresses a need that campuses across the country were requesting – to combine the best of the campus crime prevention strategies with general crime prevention training. Although campuses operate independently and often have their own police departments, there are times when the police department from the surrounding community and campus law enforcement personnel must work cohesively together. The overall goal of this course is to provide participants with the knowledge, skills, and resources to lead crime prevention services for their campus and the surrounding community. Discuss personal safety techniques that can reduce the likelihood of victimization on campus and throughout the community. Discuss gang recruitment within the campus setting and surrounding neighborhoods and it affects the community. 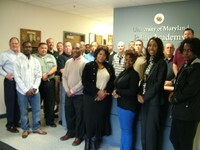 This course was designed for for front-line campus personnel and campus crime prevention practitioners and includes best practices in college crime prevention, lighting, security surveys, Crime Prevention Through Environmental Design (CPTED), residence hall and housing security, and available crime prevention resources. This is a three-day course. This training is designed for anyone who implements prevention strategies and works with students on crime prevention measures. This includes, but is not limited to, campus crime prevention practitioners, campus safety personnel, resident assistants, those involved with student housing and student affairs, and law enforcement officials. The Advanced Campus Crime Prevention curriculum was designed by the National Crime Prevention Council and experienced college crime prevention practitioners. This one and one-half day course will provide key information, best practices, strategies, and explore the financial benefits of establishing a campus crime prevention program. It is intended to help campus executives and administrators create an action plan designed to reduce campus crime. This will be achieved through the application of comprehensive risk assessment and liability methodologies and Crime Prevention Through Environmental Design (CPTED) principles. This is a one and one-half day course. This training is for top campus officials. This includes, but is not limited to, campus executives and administrators, campus law enforcement executives, campus crime prevention practitioners, and those responsible for deciding crime prevention and campus safety practices and policies for campuses and universities. If your institution is interested in hosting one of these trainings, or if you would like to inquire about pricing, contact us. To request information or a training session, contact us.